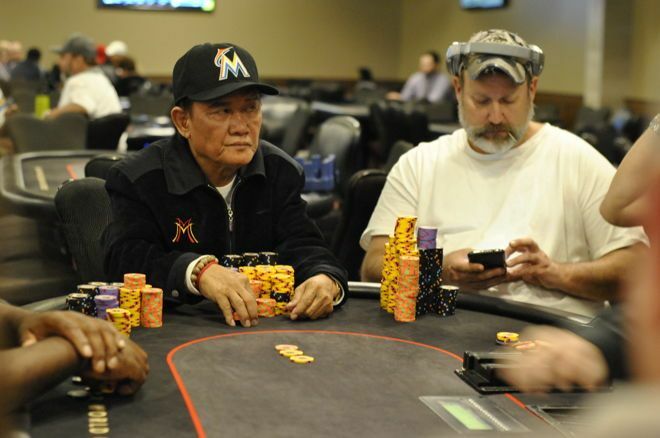 "The Master" is continuing his hot streak with a big stack in the WinStar River Series. Big names may have had a tough time on Day 1a at WinStar River Poker Series $2,500 Main Event, but one of the big names — albeit one with an infamous history — has emerged with one of the biggest stacks after Day 1b. Men "The Master" Nguyen, of seven-time bracelet winning fame, bagged 467,000 to end the second and final starting flight. He's coming in on a hot streak with two deep runs in WPT events, finishing eleventh in one and third in another for about $300,000 total. He's among the top stacks as 52 players advanced out of 429 entries, winning a huge three-way all in in the latter stages of the day with aces against queens and ace-king to propel himself near the top. That number pushed the total entries to 807, just a bit shy of the 834 needed to surpass the $2 million guarantee, so players who cashed are enjoying a little extra dough courtesy of the venue here in Southern Oklahoma, just north of Dallas. While Nguyen has one of the best chip counts, he's not quite at the very top. 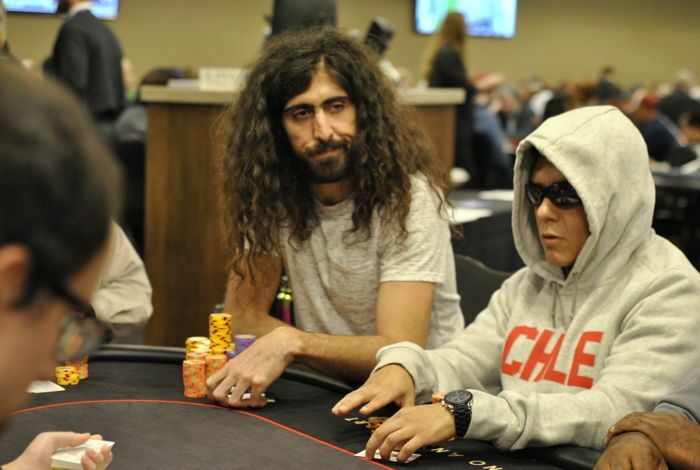 Joe Elpayaa, who has $1.5 million in cashes in his own right, turned 25,000 into 768,000. That monstrous stack is well clear of the Day 1a chip lead of 543,000 bagged by Johnny Deas. Lou Garza (701,500), Salvador Cervantes (633,000), and Jeff Banghart (585,500), along with the aforementioned Nguyen, round out the top five. Like Nguyen, Elpayaa won a multi-way all in, when four players saw the flop with two all in, and Elpayaa got even more value on the flop with kings before chasing away a final live opponent on the turn. The board contained four to an eight-high straight, but Elpayaa had the best of it by miles against two queen-high hands and avoided a potential chop to scoop a big pot and score two knockouts. He climbed from there to bag more than 30 starting stacks in a tremendous day. Some other players to advance included Mike Wang, Anthony Spinella, Brian Green, Andy Philachack, Chris Tryba and Allen Kessler. Players busting at least once during the unlimited reentry day included WinStar ambassador Maria Ho, Rainer Kempe, Kevin Eyster, Marvin Rettenmaier, Dan Heimiller and defending champ Ben Zamani. The 52 survivors come back on Monday to join up with the 46 from Day 1a to create a 98-player field with everyone in the money for a chunk of the $2 million guaranteed prize pool. Come back to PokerNews at noon local time here in Oklahoma for more coverage as the WinStar River Poker Series plays down to a final table.